When I was asked to shoot an assignment in Antarctica aboard a One Ocean Expeditions ship this past spring, I knew I was going to be carrying my much bigger Nikon D750 camera and a few heavy lenses for those show-stopping shots, but I needed something quick and easy to capture video of this once-in-a-lifetime experience. 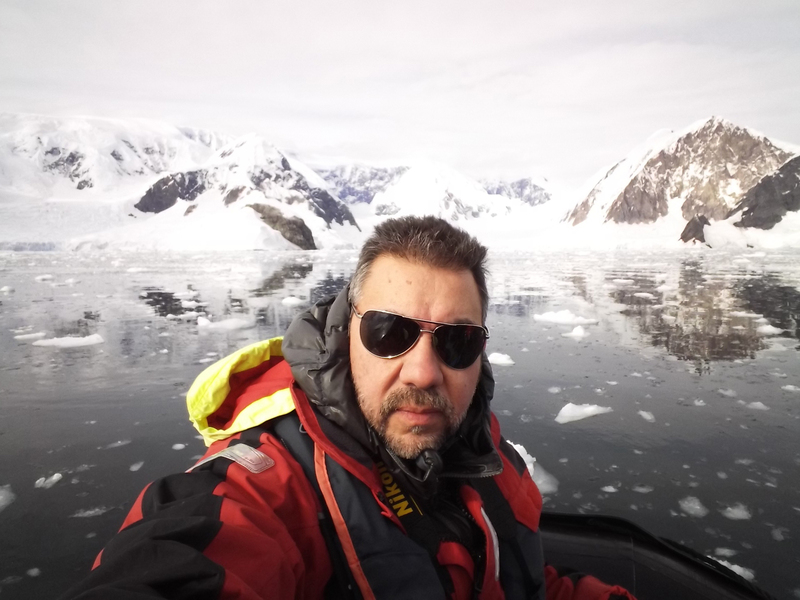 From whale watching in the rough waters on a zodiac to hiking camping out on a glacier, the Nikon KeyMission 80 action camera captured some great video (see below) and took everything this harsh environment could throw at it. The best part about this pocket-sized camera is being able to whip it out at a moment’s notice and take a quick snapshot, a short video or a selfie using the dedicated selfie camera and on the backside. Since it’s light, has easy controls and fits in the palm of your hand, I carried it around with me at all times. You never know when a humpback is going to breach off the side of the ship! While the quality of the photos and video from the KeyMission 80 is decent, it is not meant for a professional shoot.